Well, what girl isn’t a sucker for the word “new” on a beauty product? 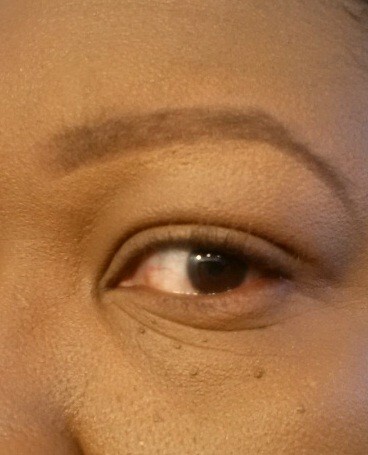 And since I like trying to find new ways to do my brows, it was only fitting that I tried a brow tint pen…. Or at least this is what I’ll tell myself to make it okay to purchase and try it out. I normally use eyeshadow (usually CoverGirl dark brown) and I’m pretty content with my method, but it’s good to switch things up. Again – this is what I’ll tell myself. 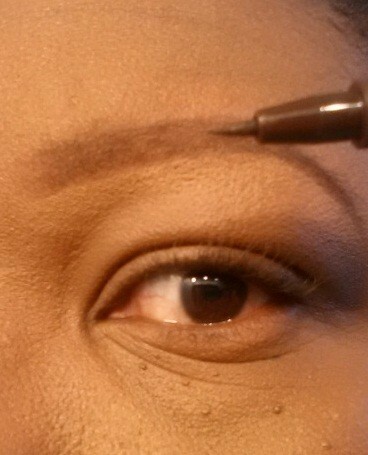 I’ve been receiving requests to do a brow tutorial, which I still find so bizarre because I am no professional. But since there has been interest (for which I am eternally flattered), I will tie it into this post. 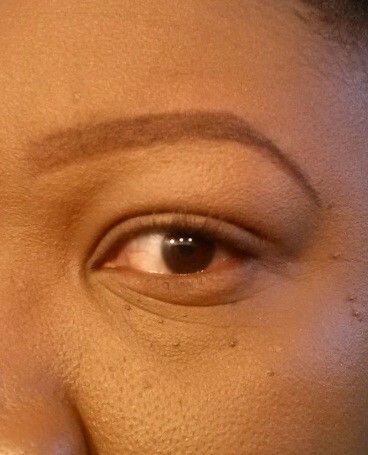 I usually fill in/shape my eyebrows before I apply foundation, so that I can clean it up on the top at that time. I tried at first with filling in just with the pen, but I did not like the results because they weren’t dramatic enough. 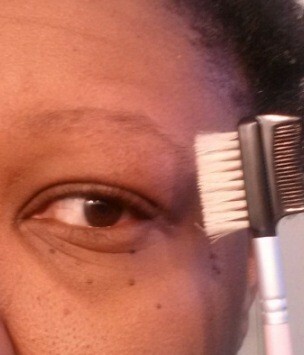 I start with my lovely, scant eyebrow, brushed into one direction using an eyebrow brush. OR you can wash and use the brush from a discarded mascara. 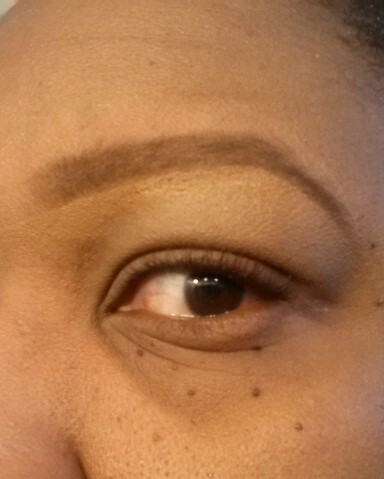 Since this wasn’t dramatic enough for me, I then tried by adding it to my normal eyebrow routine replacing a dark brown eye pencil (which can sometimes be to harsh) and liked the results MUCH more. 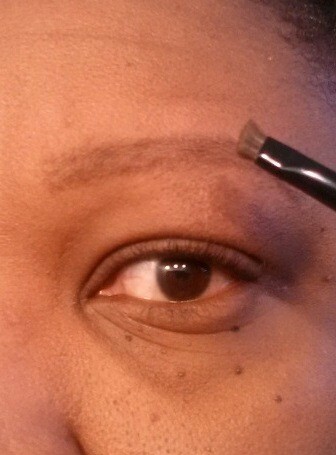 At this step, I use the brow pen to fill in the areas the shadow wasn’t opaque enough in, and also to make the edges neater and more precise. 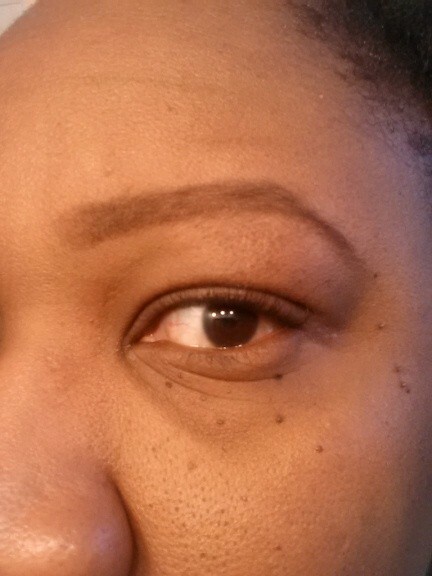 Le voila – my eyebrows are done! 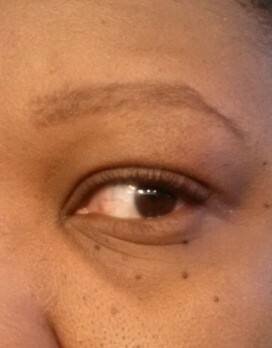 Apply some mascara, complete with fall out (cleaned afterwards with a q-tip)! It turned out that it wasn’t a wasted purchase as I initially feared, since I found a method that works for me. I would repurchase this item (which costs $7-$8CDN at the Superstore). Because the tip is fine you could fill in with precision without overdoing it (or having to worry about sharpening a pencil! ), and the texture was very smooth and lasting. If you are going for a more “natural” and subtle look, using this pen alone would work nicely. Have you tried this product? 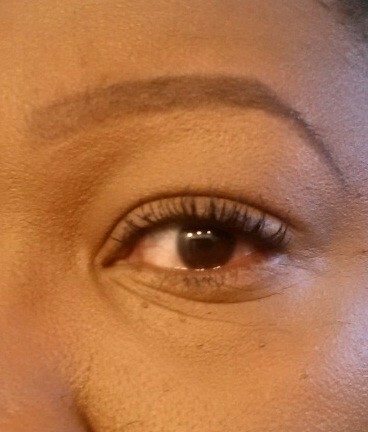 If not, what do you use to fill in your brows? Your eyebrow techniques are great! So sweet of you – thank you! The very first things I noticed about you when we first met were 1) – your lipstick (which was Cantaloupe as I recall), and 2) – your stunning, perfect eyebrows. 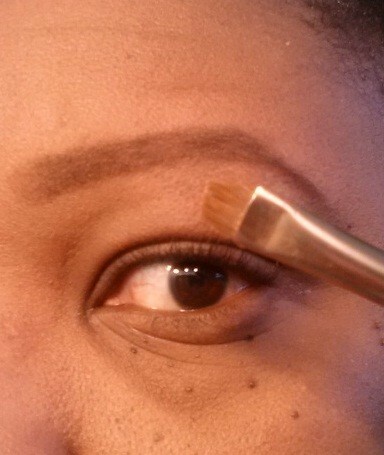 I really appreciate this tutorial, because my eyebrows are the one thing (technically two things, haha) for which I have not nailed down a go-to, works-every-time routine. I have a love-hate relationship with them. 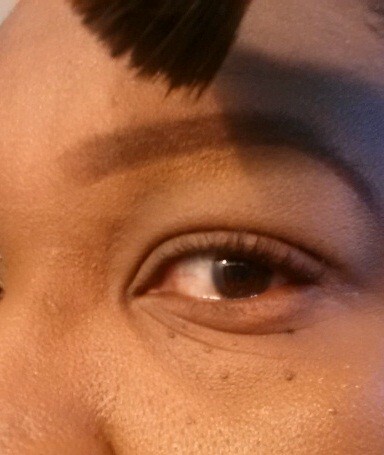 I had been filling them in with a small angled brush and a dark charcoal-black colour from Quo cosmetics for the longest time, until recently when I saw a tutorial from Sokolum on YouTube in which she used multiple colours to fill her eyebrows in, so then I tried two colours and Iike it better. 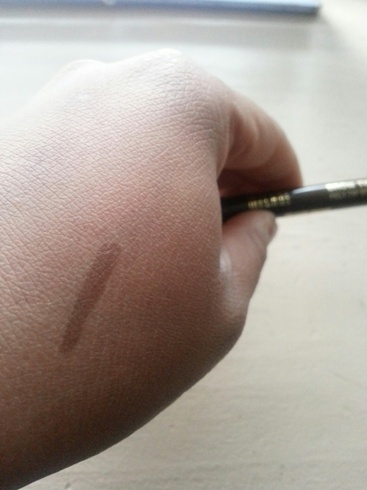 Now I dab my angled brush in Blackout and then Snakebite (both colours from the Urban Decay Naked 2 palette) and it is a more natural-looking colour – but I still don’t have the perfect shape and technique down yet! 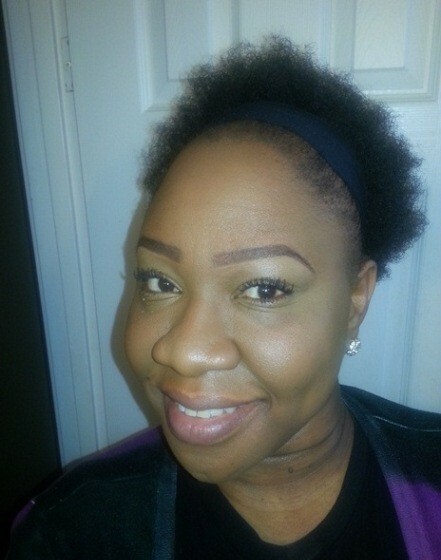 I love your advice of applying foundation afterward, and using concealer to make the lines really clean and precise. I will look for this Milani product and see if I can make it work. Thank you so much Chris! Yes I remember when we first met, and you complimented my eyebrows! Thank you so much for that Seph! 🙂 And Sokolum has killer techniques, eh? You sound like you have a good routine going, but if you try the milani pen let me know your thoughts! This pen looks like the answer to my prayers!! I’ve tried using shadows (which I hate) and the retractable pen from Sephora (which is good but doesn’t have enough product in it and for the price, it’s not a good buy). I’m currently using the Anastasia Brow Pencil which I really like but I’ve tried to avoid using it because I’m scared if I sharpen it too much the tip will pop out!! I love the precise tip on this and your brows definitely look natural 🙂 I don’t necessarily need to fill in my brows but my face just looks more put-together when my brows are filled in! I will definitely keep an eye out for this – do you know if it’s available at Shoppers or Wal Mart? I’ve only seen it at the superstore, but I’ll keep an eye out for sure! Your brows are perfection. That is all.